Kiss Out is the story of a wedding, which may or may not come to pass, the wedding of Sam and Claire. Sam Lubin, a twenty-six-year-old from Queens is the lead singer in his family’s bar mitzvah band. Former debutante Claire Allswell, an eighteen-year-old virgin from New Jersey is…adrift. Is Sam really in love with Claire after something else? The whole neighborhood is wondering. Is Claire really in love with Sam? The Allswell family needs to know. Kiss Out is also the story of Sam’s friends—Oscar and Fred Arm, identical twins, each of whom develops a vested interest in the engagement. It’s about Oscar and Fred’s parents, proprietors of the local beauty parlor, Claire’s filthy rich dad and Sam’s drummer mother. It’s about pets and bosses, class and ambition, milestones and rituals and figuring out how to grieve. Meanwhile, the road to the altar is paved with antic incident: an engagement party that backfires, an ill-timed bridal shower, the blossoming of an unlikely affair, and a bird-smuggling expedition to the Yucatan. 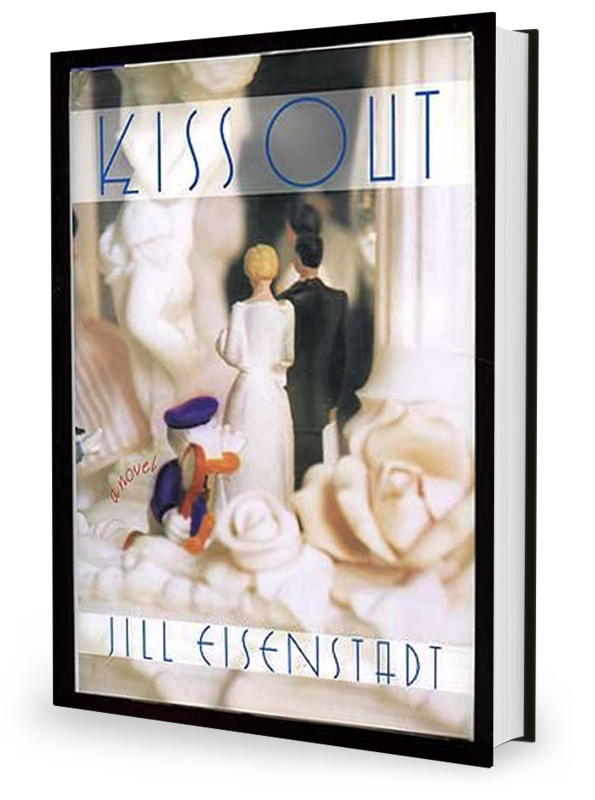 But above all, Kiss Out is the story of a wedding, which may or may not come to pass.